I have prepared a chart comparing different monochrome CCD cameras (I have included -as an exception- a Canon 350D, just to see how it stands next to dedicated astronomical CCD cameras). You can view the chart here . 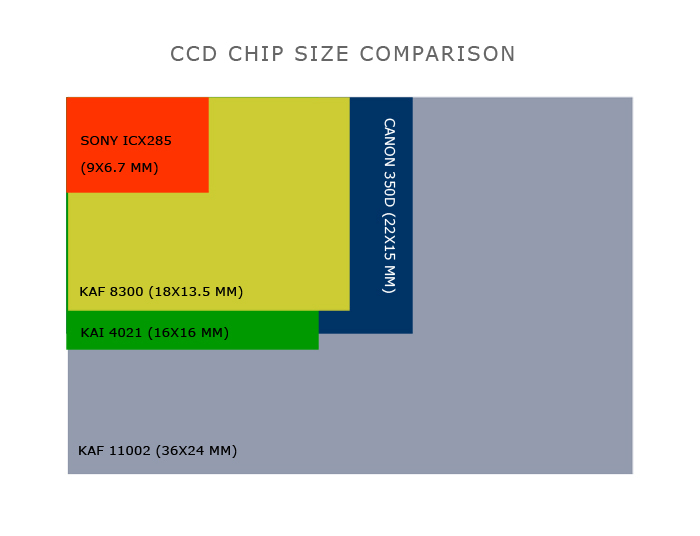 Below is a diagram that shows several common CCD sizes (which vary enormeously).